Every translation job is different – that goes without saying. Every client has their own set of requirements, and every job presents its own unique challenges. 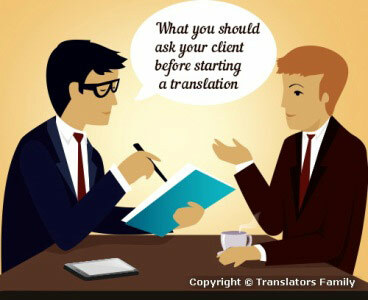 What can translators do to ensure a project goes smoothly from start to finish? Well, one of the best and most straightforward things you can do is to ask the client some questions. It’s a good rule of thumb that you should never be shy to ask questions about a job. If you’re new to the translation industry, you might worry that asking questions is a sign of inexperience or insufficient training – but it’s not at all. In fact, many clients like to be asked smart questions: it shows that the translator is a professional who cares about getting the job right. And, as we said right at the start, every job is different. It doesn’t hurt to double-check details if something is unclear. As we’ll see, you might even spot something important that hadn’t occurred to the client. Is the issue something I’ve encountered before? Can I look up the answer to the question online, or elsewhere? Has the client provided any reference material that might answer the question (or is it available on their website, for example)? Is there a single, clear course of action that I should take? This is a potentially huge question that can significantly impact the way you handle a translation. If you’re translating a marketing brochure that provides a first look at a new product, for example, you want to make sure you introduce new ideas and terms clearly and simply, so nobody gets left behind. But if you’re translating some technical documentation for engineers to read, on the other hand, you wouldn’t want to patronise them and waste time explaining things they already know. You can sometimes answer this question by considering the style in which the text is written in the source language, and the manner in which it’s presented (covering things like layout, content, or the probable context in which it’ll be read). But if you’re uncertain, and you think it’s likely to affect the decisions you make, get in touch with the client and ask them for advice. What format will the file be output in? Sometimes the answer is as simple as looking at the source file type – but sometimes it isn’t. Businesses may first produce content using a word processor with a view towards transferring it to web design or DTP software later – and, if you’re qualified and confident, you can potentially add value to your translation by saving them the time and effort of doing so. Alternatively, you might receive a package from an agency to be translated in a CAT tool like Trados and then exported to Word or some other format. If you don’t ask, you might not find out the answer until it’s too late and you find you’ve created additional unnecessary work for yourself. Which language variant should I use? There is no single, universal version of any language – as we’ve discussed before. Make sure you know which one the client expects. If you’re translating into English, should that be British or American English – or some other variant entirely? If you’re working into German, should that be for the German, Swiss or Austrian market? This question also ties into matters of style and tone – it’s worth finding out how colloquial you’re allowed to be, or even whether you can introduce a little of a local dialect if your text is targeting a very small, specific geographical area. This also therefore goes back to our first question of who the client’s target audience might be, and emphasises just how important it can be to resolve issues like this before you put pen to paper (or, in our age, fingers to keyboard). How should I handle localisation issues? Unlike the previous question, this one is less about linguistic issues like spelling and grammar, and more about practical and cultural considerations. It may require you to work with the client to find a balance between their desires and the expectations of the local target audience – and you’re very well-placed to do this. One of the many reasons native-speaker translators are so valuable is that they know their local market better than anyone else – its conventions, its standards, current trends and peculiarities. If the client is entering this market for the first time, it can be worth discussing how much they want to adapt their existing marketing strategy to meet it. They may choose to adjust their tone of voice to prove their local awareness to the market, or they may decide to use their “foreign” nature as a unique selling point – think of the way American software companies market their services in the cheery, casual tone we associate with Silicon Valley. Or the calm, understated focus on engineering prowess that we see from some German car manufacturers. Whatever decision your client makes, it’s a conversation worth having. And even if the client has already provided a comprehensive style manual and a complete glossary for handling local terminology – we can dream, can’t we? – you may still come across smaller localisation issues, such as prices quoted in an unexpected currency, or a date and time given with no indication of the time zone. In cases like this, you’ll definitely want to check in with the client and ask them how they want to handle the situation. Naturally, there will be plenty of other issues that come up over the course of your career in translation – many of which you won’t be able to predict before you see them. But if you feel comfortable asking your client the right questions, they’ll usually be happy to answer them. You’ll find ways to cross these bridges as you come to them, and your work will improve as a result. 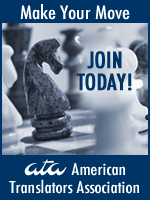 That’s a win for everyone – for you, for the customer, and ultimately for your bottom line.